The once-regular primetime contributor on Fox News will join Mnuchin’s staff as a spokesperson, replacing another former Fox News contributor, Tony Sayegh, who is reportedly set to leave his position as Assistant Secretary of Public Affairs at the end of May. Treasury Secretary Steven Mnuchin plans to hire Fox News commentator Monica Crowley as his top spokeswoman, according to people familiar with the matter, as he seeks to tout the GOP’s tax cuts and navigate Democrats’ demands for the president’s tax returns. Crowley had previously been considered for a role on the White House National Security Council, but withdrew her nomination when after CNN and Politico reported she plagiarized parts of her book and PhD thesis. The Treasury Department has had a sudden increase in media attention since the Democrats took over the House and have asked the IRS to release the tax returns of President Donald Trump. 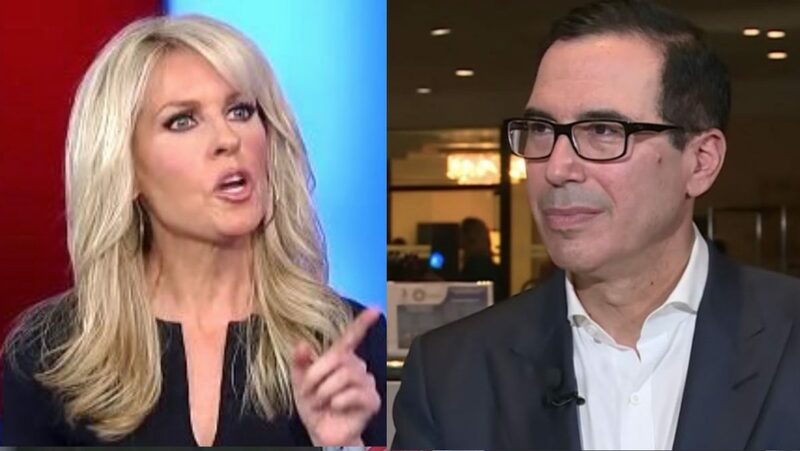 Crowley has long been considered a fierce political fighter on cable news, and her addition to Mnuchin’s team is sure to have her bare her teeth in the combative manner for which she is well known.